Tuesday, September 4th, First Day of School. Please call Gerardine Charlton at 250-537-1864 or email gcharlton@sd64.org for information regarding our Learning Partners Program. be in session from Tuesday to Friday (with exceptions). Phoenix Elementary School is a K-8, BC public school located on Salt Spring Island, BC. The school is situated on 15 acres of natural forest, across from Mouat Park and down the road from downtown Ganges. This beautiful location enables our students to utilize the natural world in their everyday learning experiences and explorations. We are a small school with 3 classes, primary (multi-age), intermediate (multi-age) and a flexible learning partners' program. As a family/community oriented school, strong parent support and participation enhances and enriches the learning experience of all students. We encourage all parents to complete their volunteer applications (criminal record check) at the beginning of the school year to participate in various volunteering opportunities at the school throughout the year. As part of the Gulf Islands School District 64, students of Phoenix Elementary not only develop foundational skills and core competencies (as outlined in the BC curriculum) but also pursue their curiosities and various interests for personalized, inquiry-based learning. 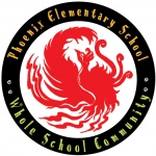 ​Phoenix Elementary School is proud to offer flexible learning options for students. Please contact the school for information regarding our school and our Learning Partners Program. We are located at 163 Drake Road, Salt Spring Island.